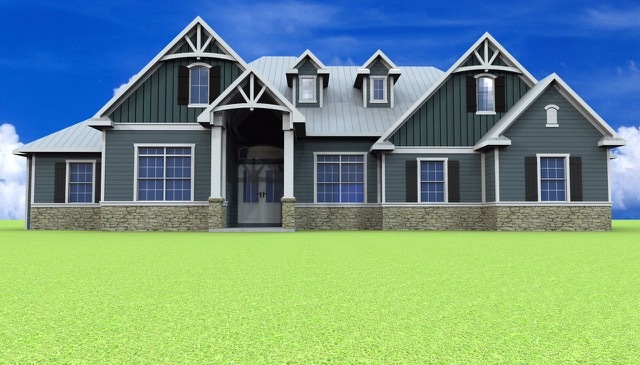 Craftsman style home with Hardie Plank lap siding, board and batten, stone accents, decorative gable trims, gable dormers and shutters. 4 bedrooms, 3 bathrooms, plus a study and 2-car, side load garage. Soaring vaulted ceilings with exposed wood beams and a fireplace in the great room with French doors out to the lanai. A large island and pantry in the kitchen and free standing tub focus in the master bathroom.